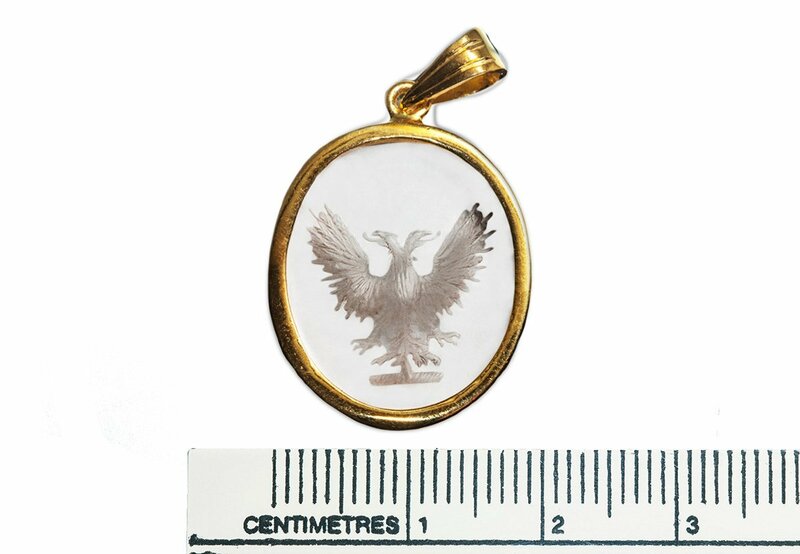 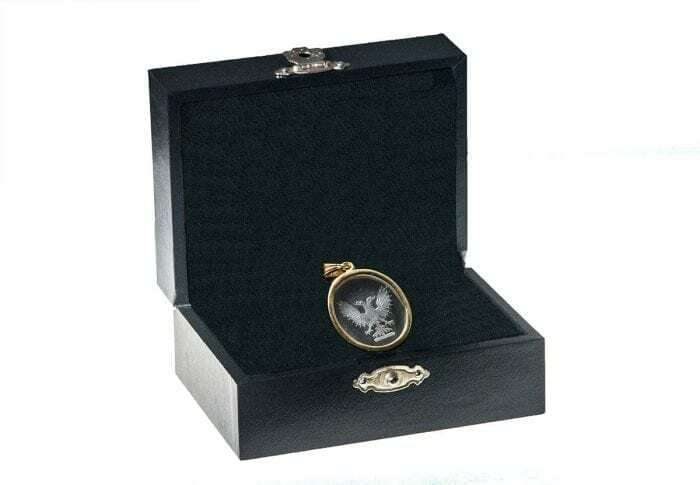 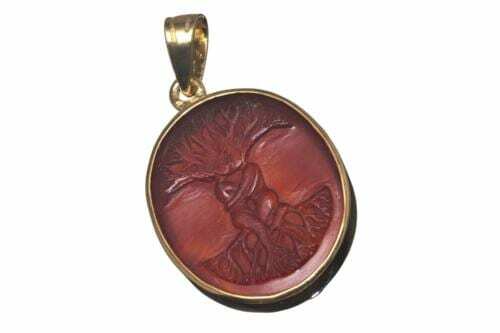 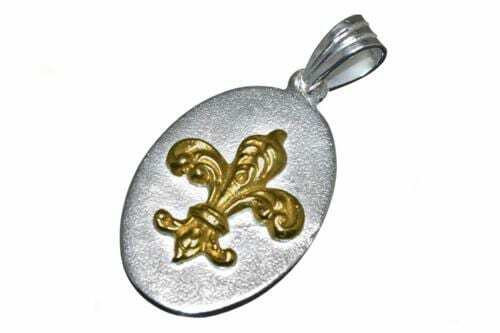 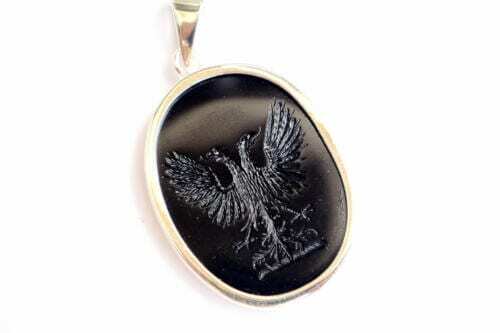 Rock crystal pendant with superb hand engraved Noble family Crest and gold plated (5 microns 18k gold) sterling silver. 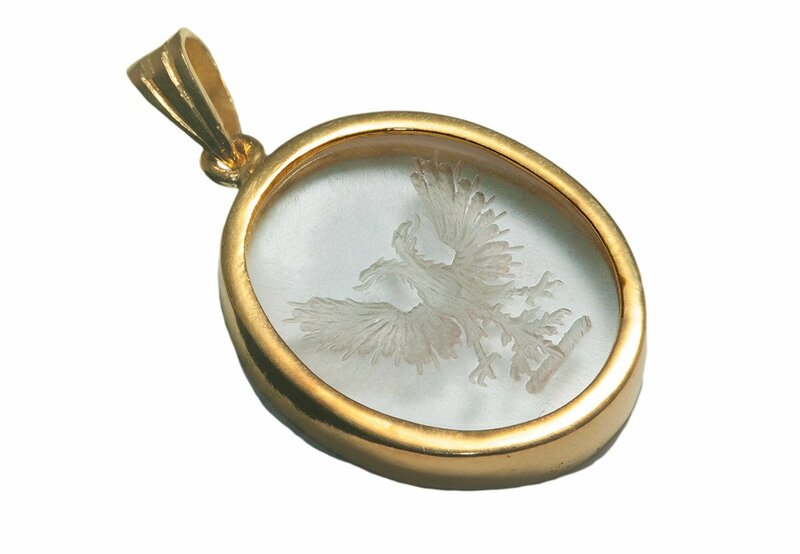 Hand crafted from genuine high quality rock crystal and gold plated sterling silver. 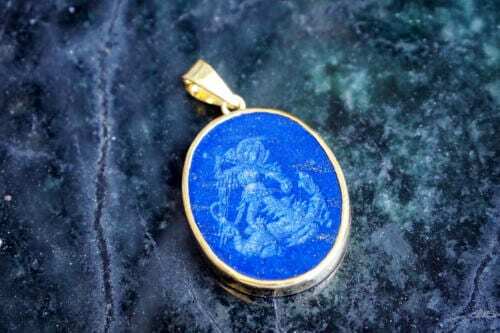 Open back so that the wonderful engraving is seen from both sides.